For as long as I can remember, Disney has always been a part of my life! I grew up in Southern California, where we’d go to the park for dinner or just to see the fireworks. My absolute favorite Disney experience is The Main Street Electrical Parade! When I moved to the East Coast, I started frequenting Disney World and learned while similar, there was so much to learn about the Florida destination. After seeing the pure excitement in my husband and kids faces when I took them their first time, I knew I was hooked on planning trips! Friends started asking for my help when they were too overwhelmed with the options. It seemed only natural to help others plan their magical vacations. I am a stay-at-home mom to four kids who thankfully support my love for Disney. They enjoy Disney movie marathons, helping me plan our trips and just sitting around talking about what they loved about our last trip (even if it was almost a year ago)! I would love the opportunity to do the same for you and your family wherever you choose to go – Disneyland Resort, Walt Disney World Resort, Adventures by Disney, Disney Cruise Lines and their newest addition, Aulani on Hawaii’s O’ahu Island. Make sure to put Hillary in the agent request box! I would like to take a moment to recognize Hillary Fitzgerald. We started planning our Disney trip a year ago. I was skeptical at first because of not being able to be face to face (due to our locations), but my apprehension soon disappeared as Hillary took over and gave us some incredible advice. We had a group of nine, with three different families. We had not been to Disney for many years and everything had changed. Hillary sent us many package options to pick from. She was even answering questions on New Years Day! She convinced me the memory maker package was worth the cost and she was so right! She was always promoting great things to do and prompt with all responses. She had all three families asking questions and was always able to find answers for everyone. While at Disney, we encountered an issue with our fastpasses and the app and Hillary was on the phone with Disney at 10PM. I could go on forever of all the good things she did to make our family trip memorable! Many thanks to Hillary! We decided rather last minute to go to Disney. We had about 6 weeks to plan. Hillary was extremely helpful. The whole process was painless. Hillary and I messaged back and forth a bit, and she booked everything for us. She never did anything without me fully understanding what was going on or without my permission. She checked us in online a few weeks before our trip. I couldn't believe how easy it was once we got to the hotel. All we had to do was enter our room. I highly recommend Hillary for everything Disney. Hillary was incredibly knowledgeable and helped us choose what was just right for our family. We were on a budget and she worked with us to make it what we wanted and needed. The recommendations she made helped make our visit to Disney less stressful and easy. Hillary helped to make our dream of taking our two boys to Disney a reality. I honestly don't think we could have put so much in place had we tried to put this vacation together on our own. She definitely made life easier for us. She was very understanding of our needs and budget. We would recommend Hillary to anyone looking to plan a Disney vacation. We would definitely use her again. Our trip far exceeded our expectations. We had not been to Disney in over thirty years and were completely overwhelmed when we started to plan the trip. Our agent (Hillary F.) was amazing! She really listened to what we wanted out of our trip and was very conscious of our budget. She got all the reservations and fast passes. She even help us make a last minute change. She shared so many tips to make our trip great. We went during April vacation so at times it was crowded. However with her help we seriously did not wait in any lines! I can’t say enough great things. My family kept thanking me for all of my planning because we had such an amazing time and hardly had to wait for things. I have to give most of the credit to Hillary. Now I just have to convince my husband to go back soon. My vacation was perfect!! Hillary took care of everything and was right there to answer all my questions. Not one stone was unturned and not one request not fulfilled. I had a magical time and will never book a Disney trip again without her (Hillary)!! We had the pleasure of working with Hillary for our first Disney vacation in March of 2018. As a "first timer" I was very anxious and overwhelmed about planning our vacation. From the moment I first contacted her I knew we were in good hands. Hillary was quick to respond to every correspondence, was very patient with every question and request, and a wealth of Disney knowledge. With Hillary's assistance, we were able to do everything we wanted to do and some things we didn't even know were possible, all within our budget. Hillary was on top of every deadline, promotion, and trip planning milestone I never had to worry. Hillary presented all of our options and helped us make informed decisions. The Minnie Box we received was an unexpected treat to get us prepared and excited for our adventure. I carried with me my personal itinerary everywhere we went, which took out so much of the stress. I even knew exactly when to be on the busses for our daily plans! I would recommend Hillary to everyone I know thinking of planning a Disney vacation, she will become your own personal Disney Fairy Godmother!! Due to the fantastic planning and reorganizing by our agent (Hillary) after our original plans were cancelled in lieu of hurricane Irma we had an enjoyable and memorable vacation. I feel that our agent went above and beyond to arrange our Magical experience. Thank you Hillary! I will always recommend Hillary to anyone who mentions they are planning or thinking about a Disney Vacation. Things have changed so much in recent years and if you really want to make the best of your time in Disney you definitely need to plan and have guidance doing so. Hillary was always available to answer any questions we had (which was a lot) and gave us reassurance that all our T’s were crossed. We could not have been so productive and prepared without her help! Hillary made our vacation magical from the very start. She was so knowledgeable about all things Disney. She created the perfect vacation for my family and I. The planning process was so easy with her by our side. Once we arrived at the airport we were immediately grateful for all her hard work we had a flawless magical vacation with every detail accounted for. She helped us with everything from hotel reservations, fast passes, park planning, dining reservations, and transportation. We went to Disneyworld in July peak season and never really waited in one line due to her planning and suggestions. We were able to thoroughly enjoy the experience without worrying about the details. I recommend Hillary to anyone even thinking about a Disney vacation. Great Agent, Hillary F. who kept us on track, and a Quality Cruise! Many thanks to Hillary for help us plan our Disney Marathon trip. She gave us great recommendations for restaurants and fun activities for our 8 year old. She made sure that all of our i's were dotted and t's were crossed. We just loved receiving the mini box. The itinerary was so helpful and it was fun to pass out the compliment cards to the cast members that went above and beyond. I am always so amazed at the level of customer service at Disney. We also celebrated our kiddos birthday while we were there. He felt like a king the whole time we were there; getting special desserts, greetings from cast members, picked to do African Drumming, etc. We can't wait to go back and we will be calling Hillary when we do. 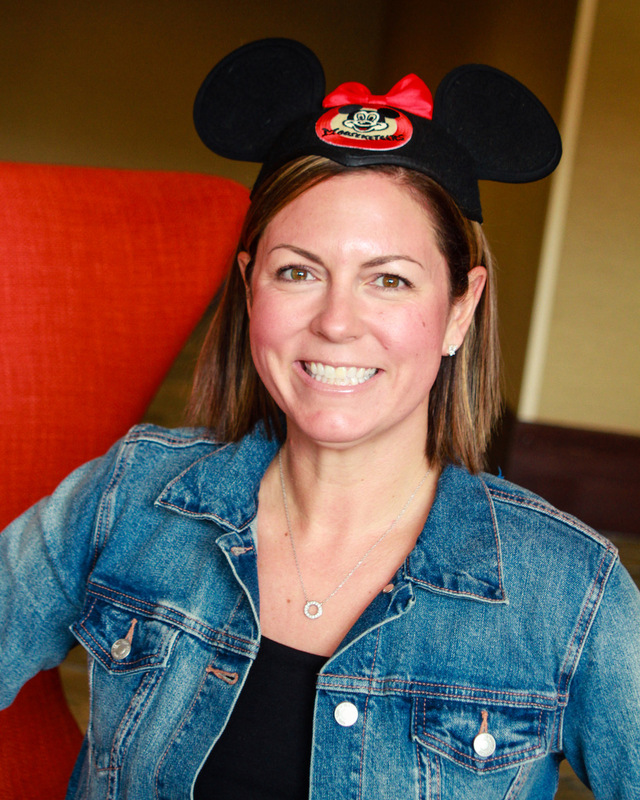 Working with such an knowledgeable agent was extremely helpful since this was our first time visiting Disney. Hillary was able to make many important reservations to create an amazingly good time with the lack of stress. Also, having an agent with lots of experience she was eager to share her tips and tricks traveling with small children, and how to make the most out of our trip. I can't wait for her (Hillary F.) to help us plan our next Magical vacation! !